My next tournament is on June 1st 2019 and it will be part of Kevin Stone’s Pintervention Circuit Tour for 2019. Last tournament was very successful and went very smooth with 55 players and I can go up to 80. I will have support and help from several players from FSPA league. My plan is to hold either a four strike Tournament or IFPA Match Play in groups of 4 with a PAPA style final with the top eight. Will decide and post what format about 30 days before the tournament. Final rules will be posted at Tournament. 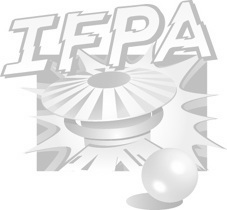 The Tournament will be IFPA sanctioned with WPPR points awarded based on current rules. •	Time: The doors will open at 11am and the main tournament will start at 1 PM. •	Food and drink (Water, soda’s and ice tea) will be available during the event. BYOB. •	The tournament will be limited to 80 so players please reserve your spot. •	If you make the finals plan to play until 11pm. •	If you click going on Facebook I do have you on my list. The Tournament will be four strikes until the final eight or IFPA Match Play in groups of 4. PAPA style final for the top eight. EM’s – Aztec, Bow & Arrow, Prospector, Royal Flush, Sunset, Snow Derby & Williams 8 ball. Newest – Big Hurt, Dr Who, Lord of the Rings, Elvis, Medieval Madness Remake & Wizard of OZ. Paid out will be - 50% 30% 15% 5% rounded off remaining amount if less than 35 players. If 35 players and over all finalists (top 8) will be paid. Amount of payout will be determined by number of players. Plaques for top 4, medals for 5-8. Any suggestions and comments are very much appreciated. Some things subject to change including date based on unforeseen problems.